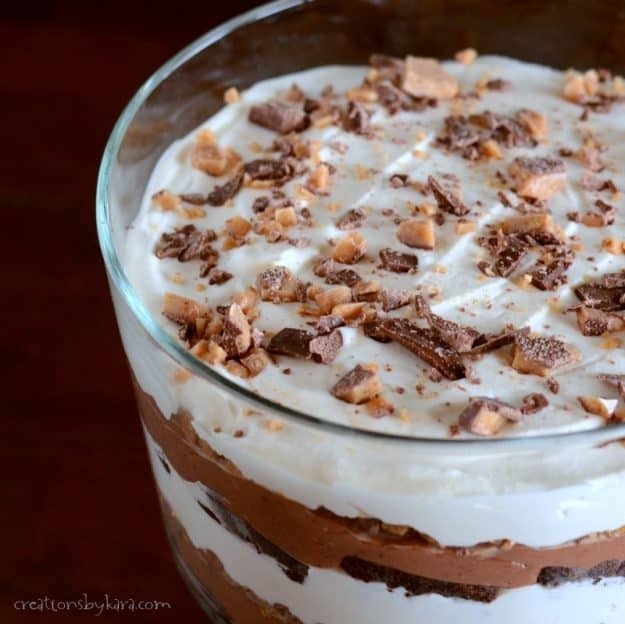 This Toffee Brownie Chocolate Trifle recipe is perfect for chocolate lovers like me! It’s got layers of brownie, chocolate pudding, toffee, sweetened condensed milk, and whipped cream. It is heavenly!! I love making trifle. It’s so simple to throw together, but it looks amazing. And of course it tastes incredible! I used the brownie base from my Peanut Butter Truffle Brownies, (I cut the recipe in half.) 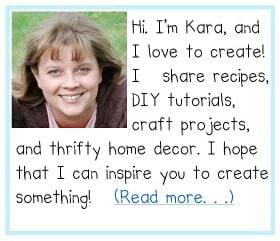 I am including the recipe below, but you can use your favorite brownie recipe, or even a boxed mix. As long as it’s a recipe for a 9×13″ pan, you’re good to go. Combine all ingredients in order listed and mix till smooth. Pour into a well greased 9×13″ pan. Bake at 350° for about 20-25 minutes. Cool completely. Cut into squares. I usually cut off the edges and let my kids eat them. Beat pudding mix, sweetened condensed milk, and milk till smooth. Set aside. Whip cream till soft peaks form, then beat in powdered sugar and vanilla. Set aside. In a large trifle bowl , layer half of the brownie squares, half of the pudding, 1/2 cup of the toffee bits, and half of the sweetened whipped cream. Repeat layers. Top with crushed heath bar. Cover and chill for 1 hour. 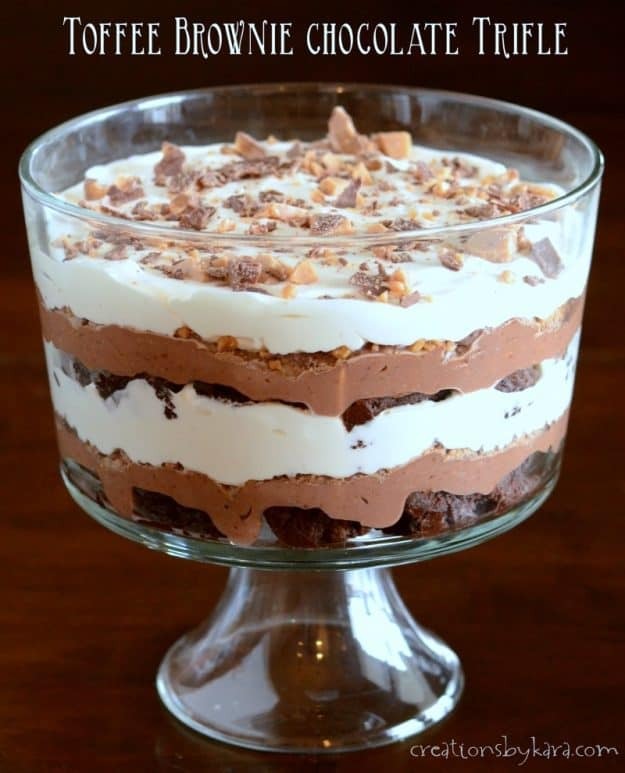 Can someone tell me if I make the Chocolate Brownie Toffee Trifle on a Friday, will it be presentable to serve on a Sunday afternoon, since I have a full Saturday and Sunday morning. Holy moley that looks so sinfully good! I’m sorry, but I’m going to have to lick my computer monitor. Dammmm you.